Matthew Lutz is a licensed Professional Real Estate Inspector with the Texas Real Estate Commission (TREC) #21321. He is also certified by NAWT for septic inspections. 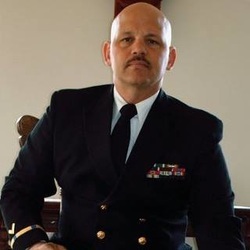 A 29 year Navy Veteran with service in Afghanistan as a construction manager, a Facility Maintenance Professional, Certified Energy Manager, LEED Green Associate, a former paid fire fighter and HVAC contractor, he has the experience needed to assess your new home. Located in Bastrop, Texas we serve all of Central Texas, including the following cities, Austin, Pflugerville, Buda, Kyle, Georgetown, Smithville, Paige, Giddings and many more, and these counties Travis, Bastrop, Caldwell, Hays, Williamson and Lee Counties. We perform inspections for sellers, buyers, new construction and commercial customers.